We proudly serve Panama City Beach, Destin and their surrounding areas and cities. Our over 20 years of experience repairing yachts and boats ensures that every job is done right and our work leaves you more than just satisfied. 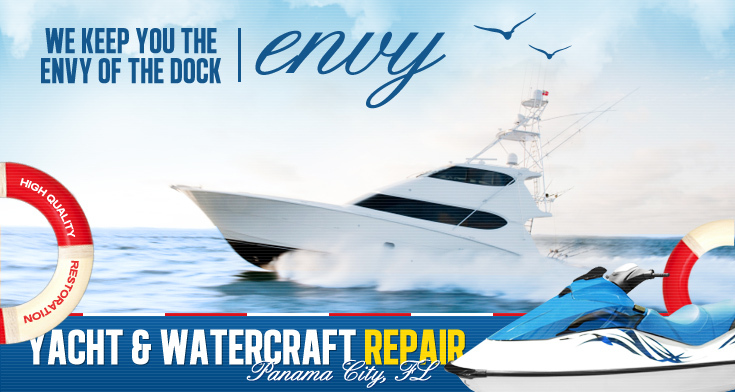 We offer Boat Repair & Restoration, Detailing, Fiberglass & Gel Coat repair, Shrink Wrapping and more. Something unique that we offer is our Boat Mobile Services. We realize that you are busy, so we have developed this service to make maintaining and repairing your boat easy and as convenient as possible.